Weathershield was employed by the project’s General contractor Beaver Construction Limited to provide design guidance and the specialist waterproofing installation for the building roof and main terrace on this prestigious office building being built for the Royal Bank of Canada. 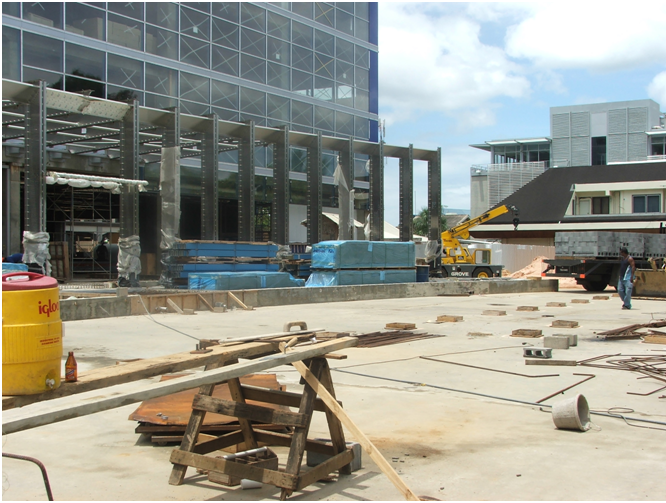 The Scope of Works for the building’s exposed roof included for a 2 Ply Index Argo APP Polymer Modified Bitumen Roof Membrane being fully adhered to a Densdeck Roof Cover Board and Carlisle HPH Polyisocyanurate Board Insulation both mechanically fixed, through a Mearlcrete Lightweight Cellular Insulating Concrete falls screed and into the structural concrete roof deck. The ground floor level provided a dramatic entrance to the building with architectural columns, a water feature, access driveway and large extensive lawn garden. This level also functioned as the roof to the multi-storey car park below. 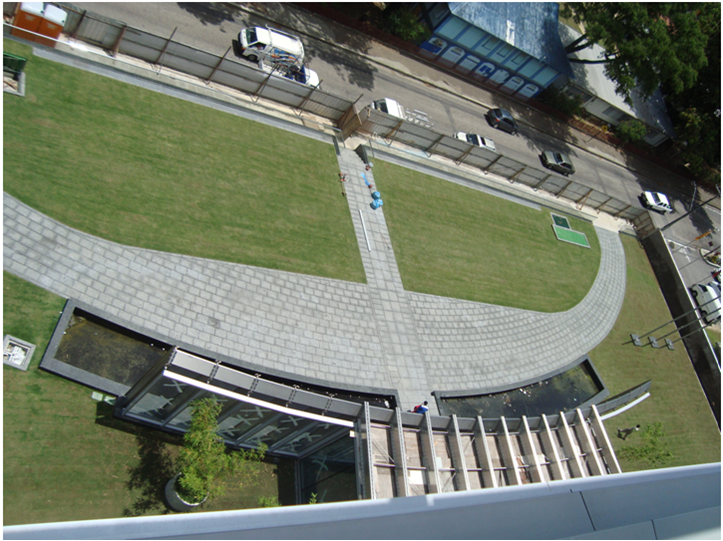 The waterproofing assembly installed on top of this sloping structural concrete deck included a fully adhered 2 Ply Index Testudo and Index Anti Root Polymer Modified Bitumen Membrane with a Carlisle Miradrain Drainage and Protection Layer, installed as a substrate to receive the growth media, lawn grass garden and driveway. 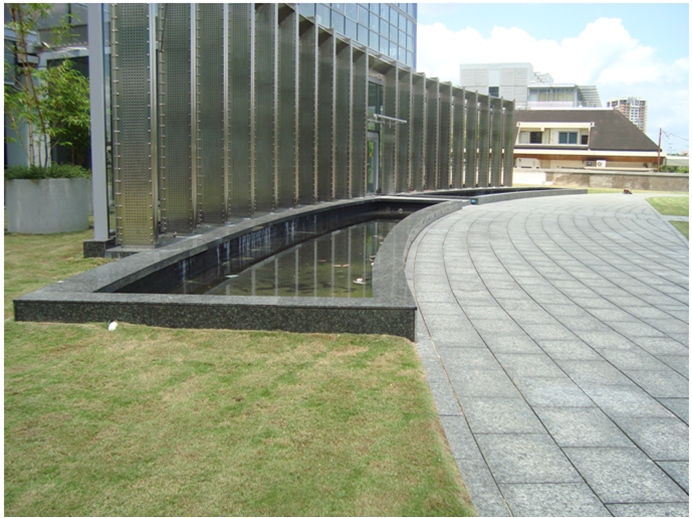 Waterproofing the water feature was achieved with installation of a Gaco Western LM 60 Plural Component Urethane membrane. 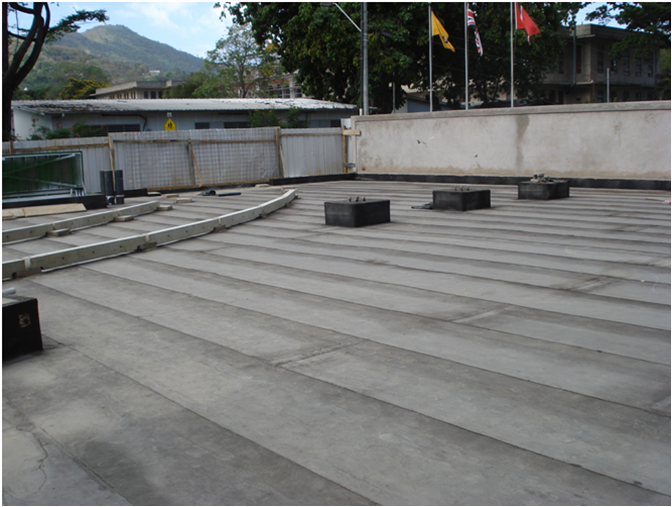 This roofing and waterproofing project was completed on time and within budget to the satisfaction of our client and the project architects. 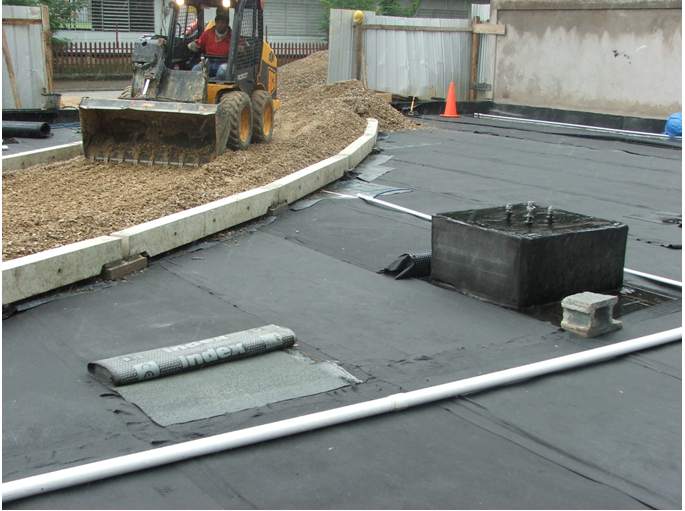 Ten (10) year System Warranties were issued ensuring the waterproofing performance of our material and workmanship.